Cruisegoers can immerse themselves in vibrant histories, heralded traditions and colorful cultures – and receive a double-category upgrade – when booking a 2014 Azamara Club Cruises voyage to intriguing destinations around the world. Through September 30, 2013, travelers making a new booking will enjoy a Club Veranda Stateroom for the price of a Club Interior Stateroom aboard select Azamara Journey and Azamara Quest Europe and Central America voyages in 2014. Azamara’s Double Upgrade Offer adds two more reasons for a destination immersive-voyage to the rich history of Europe, and the stunning natural landscapes of Central America. Additionally, guests will enjoy up to 50 percent savings on brochure rates, 25 percent savings on most Land Discoveries shore excursions when booked online prior to the voyage, and $1,000 ChoiceAir credit per couple for air travel booked by September 30, 2013. 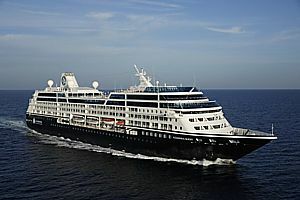 More information about Azamara’s Double Upgrade offer can be found at www.AzamaraClubCruises.com/AugSepDoubleUpgrade. 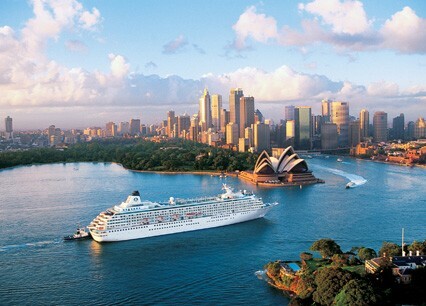 Azamara Club Cruises offers distinct destination-immersive experiences for up-market travelers. The cruise line uniquely features voyages with longer stays and more overnights at ports to provide guests the opportunity to experience night touring at some of the most compelling destinations of Europe, Asia, South America, West Indies, as well as Central and North America. On board the intimate Azamara Journey and Azamara Quest, guests receive exceptional and personal service and the cruise line’s authentic, exclusive and bespoke AzAmazing Evenings events that showcase the unexpected colors and flavors of a destination. Onboard, guests also enjoy fine cuisine and boutique wines from around the world, as well as more inclusive amenities, such as included gratuities; complimentary bottled water, sodas, specialty coffee, and teas, as well as complimentary boutique wines, international beers and select standard spirits in the ships’ bars, lounges and restaurants when open; complimentary self-service laundry; English Butler service for suite guests; and shuttle transportation to city centers in ports, where available. For more information, travelers can call their travel professional, dial 1-877-999-9553, or visit http://www.AzamaraClubCruises.com. Connect with Azamara Club Cruises on Facebook at www.facebook.com/AzamaraClubCruises, on Twitter @AzamaraVoyages or follow President and CEO @LarryPimentel.